Eyelets are round stub-like pieces of metal. These items are generally used as a way to anchor difficult or heavy objects to your scrapbook pages. Eyelets can either be attached by pushing the eyelet prongs through the background or attaching them with glue dots. Some types of eyelets also make elegant accents. Eyelets are available in a variety of colors and shapes. Sometimes, you may want to temporarily hide photographs or objects behind a window. These Pop up windows allow these items to be viewed and then hidden once again. This is a great technique for educational scrapbooks where text outside the window asks a question and the answer is contained inside the window. To make a pop up window, divide a piece of paper into three sections. This paper can either match, compliment, or contrast your background color. Next, paste the middle section of your pop up window to your background. Place your object or photograph on top of this middle section. Then, simply close the window. A nice bow or other embellishment can also be added onto the outside of these windows to add an elegant touch to the window. Hinges are used to make pop up windows. However, by using hinges, you can make more permanent and stronger pop up windows made of wood. Generally the hinges are anchored to eyelets for increased support. Hinges are available at any local hardware store. 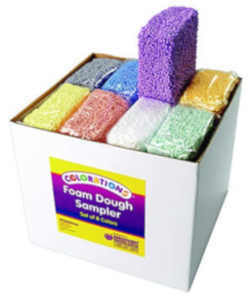 Moldable foam allows you to create anything your imagination and talent allow. You can create three-dimensional object or you can create three-dimensional borders or backgrounds. This technique looks great on children’s artwork and in educational scrapbooks. Moldable foam can also be made into three-dimensional hearts or doves for wedding scrapbooks or personalized items for graduation scrapbooks. You can even use moldable form to make your own rubber stamps. Moldable plastic is another possibility. Buttons can be added to pop up windows for effect or to educational scrapbooks as a learning device. Adding buttons to a scrapbook page can as simple as adding a ready-made button. However, you can also create customized buttons that match your background or general color scheme. Bazzill paper is great for this purpose. Simply wrap a ready-made button with the paper. These buttons can then be glued or tied onto your scrapbook page with thread or embroidery cotton. 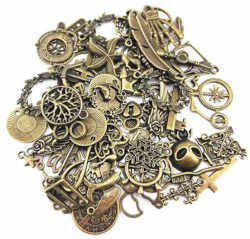 Metal charms aid a unique personalized element to scrapbook pages. Charms are available in all sorts of sizes and shapes to fit nearly any theme. In this way, charms can be added to memento, graduation, or gift scrapbooks to create a personalized feeling to the page. There are several ways to attach charms to your page. One way to attach metal charms is by sewing the charms directly onto your page with thread or embroidery cotton. This method works well on scrapbooks with fabric backgrounds. Another method is to string wire through the charm and attach both end of the wire to secure eyelets. The ends of the wire are then pushed into the background where it is hidden from view. A third method is to glue the charm directly onto the scrapbook page. Most regular glues do not work on metal. However, check out your local hardware store for metal glues or contact cement. These specialty products will work just fine. For a unique background, try using homemade paper. This will add a wild look to your scrapbook page and is especially nice for children’s books and artwork. You can make your own customized paper of any color and texture you want. This takes a bit of time and effort. Alternately, soak a piece of cardstock. After a few minutes, crumple the paper a bit and then iron it flat again. This will closely approximate the appearance of homemade paper. 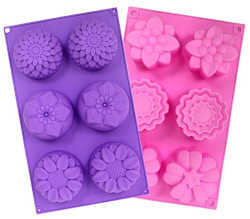 Candy and soap molds can be used to make embellishments with that homemade paper look. These embellishments can be used as an added touch for baby announcements, children’s artwork, or elegant gift books depending on the shape and size. And the good news is that it’s easy, peasy to do with the help of molds. Simply, mix water and cardstock in a blender. Then, squeeze the excess water out of the paper and press the mixture in any candy or soap mold. To make a thicker item, just add more pulp to each mold. Allow the mixture to dry overnight before use. There are various types of paper that can be used for backgrounds or journal entries for various effects. For instance, rice paper is a fine paper that can add elegance to a scrapbook page. Conversely, papyrus is a coarse almost wood like paper creating an exotic feel to a scrapbook page. Be aware, however, that some of these paper alternates are extremely difficult to work with, break easily, and may not preserve well. A woven background can create a natural feel or color to your scrapbook page. Weaving can be done using fabric, yarn, straw, or reeds. This adds a handicraft or outdoor feeling to your scrapbook. Simply alternate horizontal and vertical threads over and under. If you are using straw, bark, or reeds, be aware that these materials do not preserve well. Use your imagination and creativity to explore new materials for backgrounds. Some interesting wood like materials include bamboo, popsickle sticks, and pieces of wood. These can add a playful, exotic, or outdoor feel to your scrapbook. Be aware, however, that some of these media alternates are extremely difficult to work with, break easily, and may not preserve well. Magnetic sheets and magnetized photo albums can be used as backgrounds. Often these sheets have an adhesive strip on one side to promote adherence to even nonmetal objects. 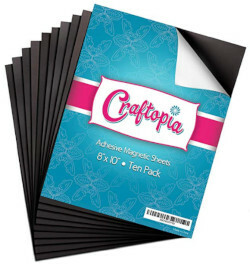 Magnetic sheets are best used in children’s educational scrapbooks or other scrapbooks that will be used and reused several times. Use your scrap bits to create great funky backgrounds. These items add texture and color to your work. Some interesting scrap material suitable for backgrounds include furniture casters, bits of linoleum, and carpet swatches. Shrink art can add an abstract or child like feel to your photographs or scrapbook pages. Shrink art is easy to use. First, print a photograph directly onto shrink plastic. Next, punch a small hole into the top of the photograph. You will use this hole to later attach your photograph to your scrapbook. Then, cook the photograph until it shrinks. Smudging by accident is an easy task, smudging for effect is quite another. Using a marker, add color to a paper towel or make up sponge. Then, smudge the color onto the page. With a little practice, smudging can create a hazy or smoky effect. This effect can be used to create a relaxed, outdoorsy feel to your scrapbook page. Tinting is a great way to add a touch of color to black-and-white photos. Tinting can be used to draw focus to a certain portion of a photograph or add color to a dull black and white page. A special product called Photo Twin pens is useful for tinting. The basic idea is to draw on the photograph with these pens to create custom tints. For example, you can add a health blush to Grandma’s cheeks. In real-life, however, this is much easier said than done. 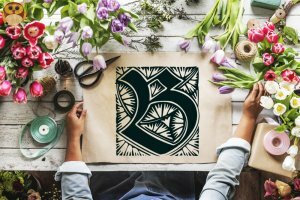 A great deal of practice is required to get these pens to create the desired results, and in the beginning, you’re probably better of practicing on pictures that you never plan on using in your scrapbook. Crystal lacquer adds shine and protection to your photographs. This shine adds a soft elegance to any scrapbook page. However, crystal lacquer looks especially nice on more formal gift scrapbooks. Basically paint your photograph with the crystal lacquer and let it dry. Be especially careful not to let the lacquer spill over the edge and ruin other parts of your scrapbook pages. Dry brushing is a technique used to highlight or shade objects or areas of a scrapbook page. Drybrushing gives the appearance of weathered wood. This can be used to increase focus to a certain photograph or to add a little energy to dull scrapbook pages. Drybrushing is a great technique for that old fashioned look. To create this effect, dip a dry paint brush into acrylic paint. Next, wipe the brush back and forth on a paper towel. Then, lightly brush the item you want drybrushed. Set the item aside to dry. Embossing is basically painting using heat. Embossing adds color and metallic shine to items. Embossing can be used to add a metallic feel to a truck or train in a children’s book or add a masculine touch to a graduation scrapbook. To emboss an item, sprinkle the embossing powder over the surface you want embossed. Then, heat the powder until it melts. Aluminum foil placed over the object can be used to quicken the heating process. To reduce static cling and a mess afterwards, just place a dryer sheet on top of the item before you work. To clean up, simply brush away the remaining powder. Embossing powder is especially fun because of the glorious metallic effects and colors. 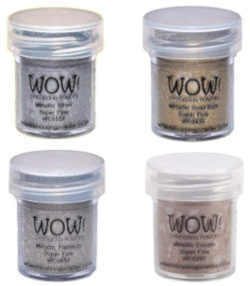 For instance, the embossing powder on the left comes in gold, silver, platinum and copper. An interesting alternative to regular paper tags is using scrap metal. This adds a masculine touch that is great for those interested in cars, trains, airplanes, or metalworking. Any bits of metal can be used. Using a metallic Rub on you can change or enhance the color of the metal to add a dramatic touch to your scrapbook page. Simply, rub the product on the metal. Then cover the item in a clear embossing powder and heat. Optionally, you can stamp the item with black ink before you emboss for an even more dramatic result. Beads can add color and design to a scrapbook. Beading can be as simple as gluing a few beads onto a scrapbook page or as complex as a sewn beaded design. Beads can be added abstractly to a children’s scrapbook for a child-like look or carefully placed to make homey titles or artistic designs. Beads, microbeads, and necklaces can be attached using two-sided tape or Xyron adhesive. Quilling can be as simple as gluing a few precut strips onto a scrapbook page or as complex as artful designs. The design you create depends only upon your creativity and talent. Quilling creates an exotic handicraft look to scrapbooks.